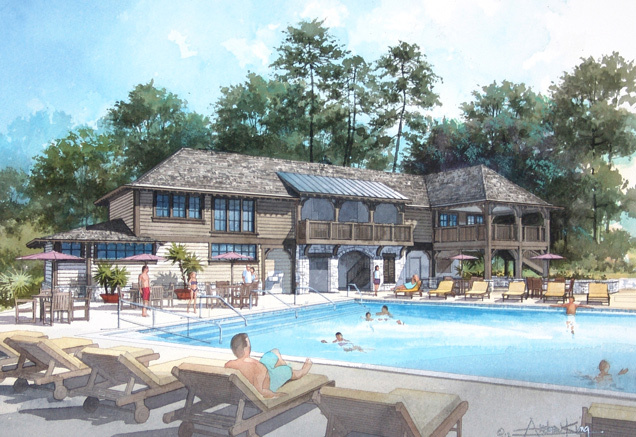 New pool house conceptual drawing by H. Anne Blakely Sciarrone Architecture, LLC. 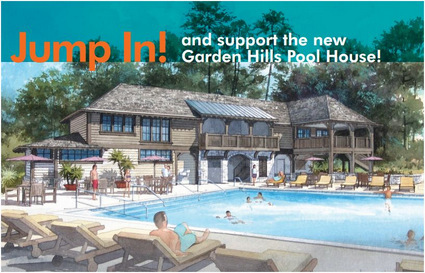 From March 2012 to November 2013, Red Fork principal Renee Claire partnered with Jeff Clark of the Garden Hills Pool & Park Association and Barbara Howell of Barbara Howell & Associates to raise money for a new public pool house for the City of Atlanta's Garden Hills Pool. The initial fundraising goal was $750,000. The three-person fundraising team, along with hundreds of community volunteers, ultimately raised over $800,000 for the project. 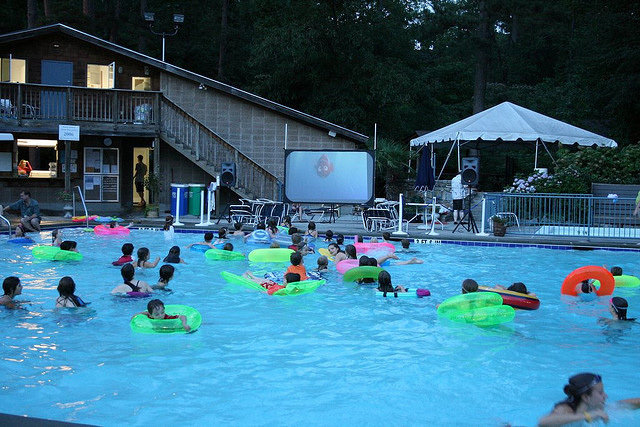 Movie night at the old pool house. The campaign committee updating supporters on the project. The capital campaign leaders were project visionary and Campaign Chair Jeff Clark and fundraising consultant Barbara Howell. The contributions of both of these individuals cannot be overstated, and both were deeply involved in all aspects of the campaign. Hundreds of neighborhood volunteers were also vital to the campaign's success. 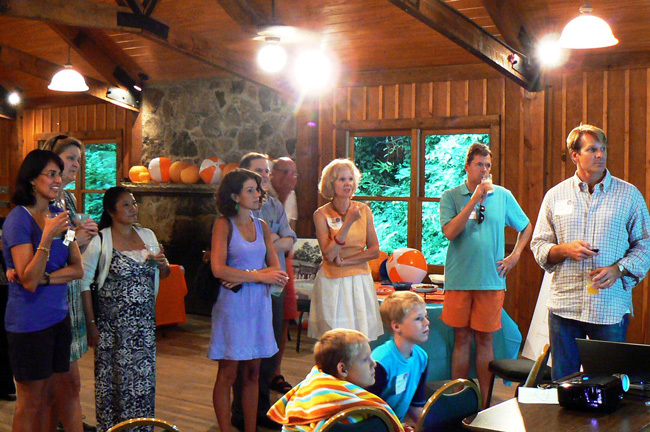 Volunteers solicited major gifts, hosted donor parties, organized larger events like the Garden Hills Gala, and took lead roles in the street campaign. The team raised over $800,000 in under two years, with over half of the funding donated by individuals. Fundraising began in the spring of 2012, and Barbara Howell and Renee Claire wrapped up services in Fall 2013. 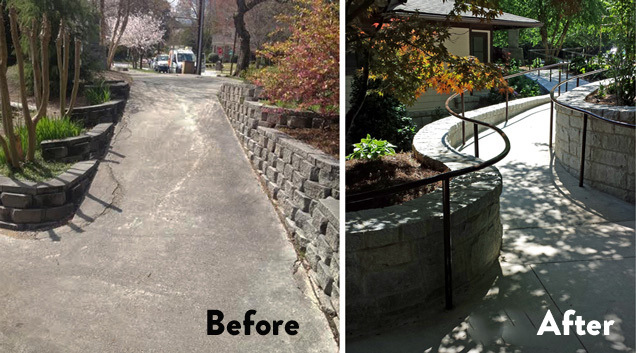 Jeff Clark and the Garden Hills neighborhood finished fundraising for the project, which is completely paid. 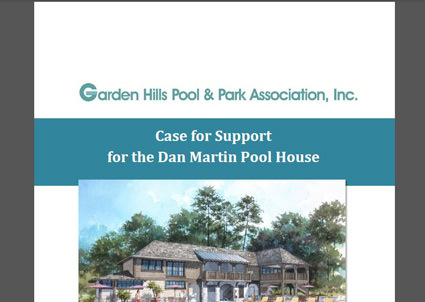 In May 2014, the new Dan Martin Pool House opened, with a ceremony attended by most of the Garden Hills community. The new pool house is EarthCraft-certified, and is now fully accessible, with ADA-compliant bathrooms, elevator, and access ramp from the street (left).